Ragas Dental College and hospital , 2017 admissions started. It was formed in the year 1987. Since its inception, the college has been on the path of success for its excellent academic curriculum and world class infrastructure facilities. In a short span of 15 years, the college has created its own separate identity in the field of dental education. 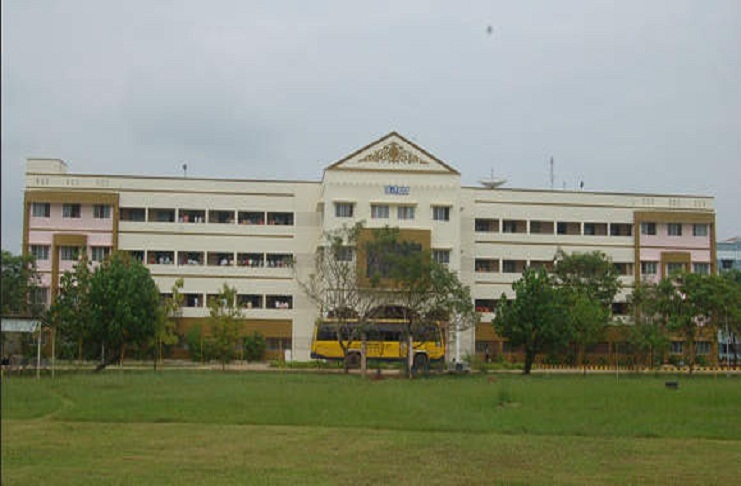 The college is affiliated to Dr.MGR Medical University, Tamil Nadu and is accredited with the Dental Council of India. It is located in the capital city of Tamil Nadu i.e. Chennai. The college believes in the holistic formation of the aspirants by providing quality education thorough its five years full time course of BDS. Ragas Dental College is also known for having good networks with foreign dental councils such as Malaysian Dental Council, Royal College of Physicians and Surgeons, Glasgow for MFDS (FDSRCS program), Srilankan Dental Council, Dental Council of Middle East Countries, Saudi Arabia and Libya. Ragas Dental College also provides three years full time post graduate course in dentistry. We provide career counseling, admission guidance and direct admission in all Indian university admissions in any branch, especially -we provide the most appropriate guidance regarding very best private unaided Medical, engineering , BDS colleges in recognized universities. Meenakshi Ammal Dental College and Hospital, 2018 admissions started. It is one of the most forward-looking educational environments in dental medicine in the country. Since its inception in 1990-1991 by Thirumathi Meenakshi Ammal, a Philanthropist.Meenakshi Ammal Dental college has been committed to excellence in education, research, patient care, and community service. 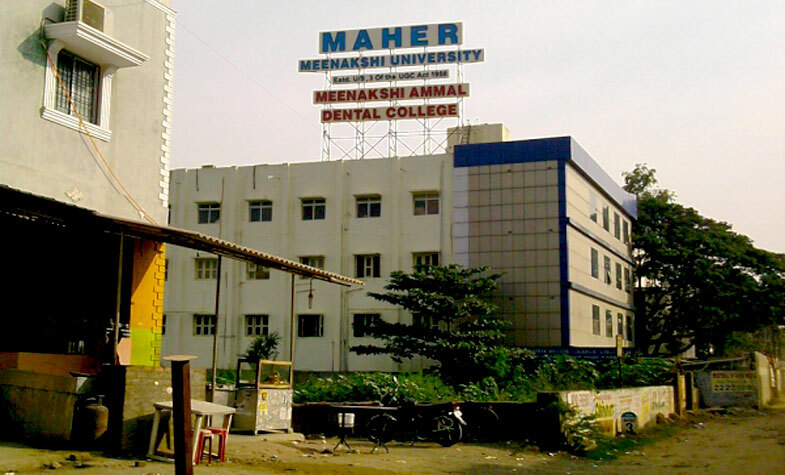 It is a constituent of Meenakshi University, from 2004 – 2005. At Meenakshi Ammal dental college, research and teaching are complementary, producing professionals who possess the analytical capacity and the spirit of inquiry to deal with an ever-increasing knowledge base and rapid technological changes. Admission of students of MAHER is made strictly on merit based on an All India Examination as prescribed by the UGC Regulations and in consistence with the National policy in this behalf from time to time.The under graduate entrance test is conducted in the month of May and PG Entrance Test is conducted in the month of January and Super-Specialty course in the month of June of every year. Selection will be made after counseling as per the merit list. Classes will be started in August. The Degrees are awarded by the University for the successful candidates. West K.K. Nagar, Chennai -600 078. Chettinad dental college and research institute 2017 admission started. Chettinad dental college is a global center of excellence in learning, teaching, research, health care and service to the community has been established in the year 2007 by the visionary organization, Raja Sir Muthaiah Chettiar Charitable trust. Our institute is an undergraduate college with 100 BDS seats, affiliated to Tamil Nadu Dr.MGR medical university, Chennai and recognized by the Dental council of India. 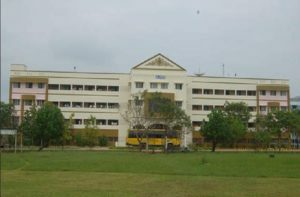 The Chettinad Dental College and Research Institute is located in the Chettinad Health City in Kelambakkam on the Old Mahabalipuram road, otherwise known as Rajiv Gandhi Salai or the IT Highway. This stretch of road from Madhya Kailash temple on Sardar Patel road to Chettinad Health City is a 20km long toll road, with numerous hubs of the IT industry and several multinational companies located along it. It is one of the fastest growing roads in Asia, with at least 50 educational institutions and many residential complexes in the vicinity. The area between this OMR Road and GST Road is the area marked for the future expansion of Chennai. 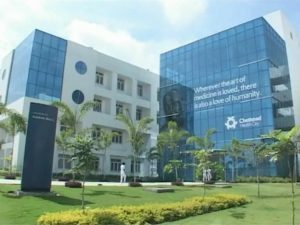 MBBS ADMISSIONS IN CHENNAI 2017 REGISTER NOW ! The admit card of IMU CET 2018 examination will be available via online mode. Candidates can download the admit card through the website. The authority may also send an automated E-mail/SMS to intimate the downloading of admit card. Candidates are suggested to check their registered Email account regularly. Admit card will not be provided through offline mode. The facility to download the IMU CET Hall Ticket 2018 will be provided in the second week of May 2018. The examination will be organized in the fourth week of May 2018. The IMU CET Result 2018 will be announced in the last week of May 2018. Candidates who have secured rank in the rank list will be able to participate in the counselling process.